This year, you’ll see more and more purple in everything from fashion to home décor. Know why? 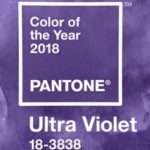 Because the Pantone Color Institute chose Ultra Violet as the 2018 Color of the Year. If you’re a fan of trending colors or if you just want to add some inspirational purple to your home, speak to a Windows & More representative here in the Lake Ozark area. We’ll be happy to help you figure out how to include Ultra Violet in your home décor. Numerous industries will be embracing this provocative color direction in their designs because they follow the forecasted trends. You’ll see it start in fashion and then move to home furnishings, hospitality, and finally automotive. Each industry adjusts the forecasted color direction to their area and products. Warmer-climate colors may be lighter, and cooler-climate colors may be a bit darker than the actual forecasted color. “The Pantone Color of the Year has come to mean so much more than ‘what’s trending’ in the world of design; it’s truly a reflection of what’s needed in our world today,” noted Laurie Pressman, Vice President of the Pantone Color Institute. 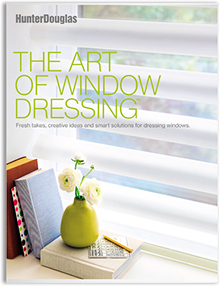 Pantone’s color trend and forecast publications provide color insight with varying viewpoints and industry focuses to meet today’s color decision-makers. Learn more about Pantone. The Color of the Year offers strategic direction around the world. Ultra Violet opens the mind to what lies ahead and beyond and offers the originality and visionary thinking that will take us into the future. Historically, Ultra Violet has always been considered a mystical or spiritual color. You will see the purple-toned hue in communities that inspire connection, such as meditation spaces and other gathering places. Ultra Violet leans more toward the blue end of the spectrum than red. While there are still enough red undertones to add passion, it is the touch of periwinkle that makes the cool prevail, lending itself to unique color combinations in fashion. Paired with metallic colors, you think luxurious. Paired with greens, it brings out nature. To bring this inspirational color into your home, you can add a couple of throw pillows, paint a wall or two, or put it at the window. 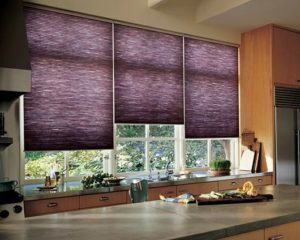 Hunter Douglas has long added this color to their fabric pallet of window shades, including in designer screen shades, Somner® Custom Vertical Blinds, Vignette® Modern Roman Shades, and Applause® and Duette® Honeycomb Shades.